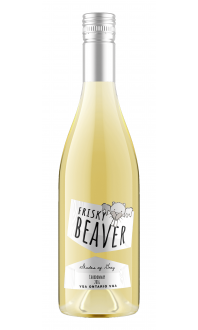 Frisky Cabernet - Frisky Beaver Wine Co. 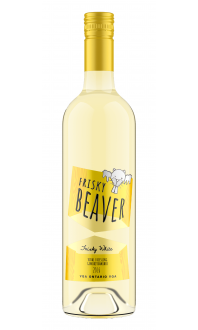 Sorry, Frisky Beaver Wine Co. does not ship wine to United States. 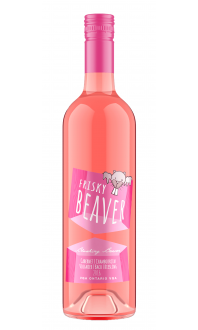 Shipped and sold by Frisky Beaver Wine Co. Vibrant, deep and elegant, aromas of ripe red and black fruit. The absence of strong oak creates a fruit forward and juicy palate. A blend of Cabernet Franc and Cabernet Sauvignon. Aged in stainless with a touch of oak. Dry, medium bodied with gentle tannins. Appearance: Vibrant deep and elegant dark ruby. Nose: Aromas of ripe red and black fruit, particularly currants and black cherries. Palate: The absence of strong oak creates a fruit forward juicy palate.